Welcome to the first post in a continuing series I am starting today, opening the conversation to sharing new information, tips and hints that I hope will make all of our piecing experiences more enjoyable. Quilting Essentials will be the title of the posts where I share some of my best tips and hints that have made me the quilter I am today. (For good or bad!) 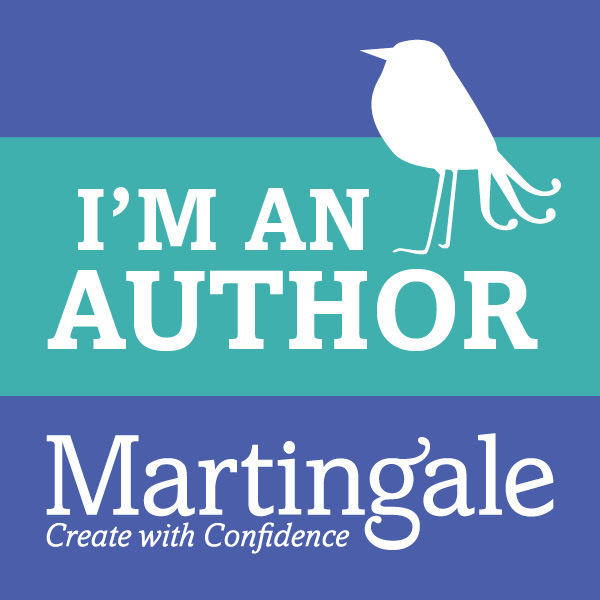 My hope is that you'll find something useful in what you read here, and more so, that you'll share tips with me, and other readers in the comment section. I won't have a schedule to regularly post Quilting Essentials, but hope to do so monthly. I have many deadlines and obligations of things I have to do that I can't promise a post on a certain day, but will try my best for monthly. This began when I asked you for your comments on what you'd like to read about in future blog posts. So many of you asked for piecing tips, and about how I design quilts and fabrics...so sharing some of my design experience is where I will begin. I do not have a formula. I wish it were that easy! I work very hard at feeding my creativity and it has become second nature for me. I get inspiration everywhere now, although it wasn't always that way. While on my Mt. Rushmore trip, I was inspired by the Black Hills National Forest.... in the colors, for quilt blocks, and with nomenclature. I have learned to pay attention to a lot of things I never did before. You never know when inspiration will strike! 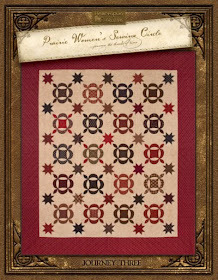 Very often I am smitten with a block that I want to use, and begin to see possibilities in using it in a quilt. But often as I set out to design a quilt with a particular block, I end up going a different way altogether in the finished design. Sometimes fun designs come out of playing while I'm working one quilt...I end up with another quilt altogether that I can use later. Sometimes, it's playing with fabrics...auditioning and sorting. Some combos are just so striking that you HAVE to make something from them! Designing fabric is very different. When I begin, I have the fabric colors and kind of prints in mind. What colors will the collection be? What 'feel' do I have for what I want the quilt to look like? That 'feeling' is something that is hard to describe, but is a huge factor in how everything about the collection will turn out. I trust my instincts implicitly. 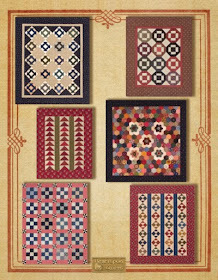 After I know what colors the collection will be, and that feeling I want, I design the quilt next. Once the quilt is designed, I create the fabric I need to make the quilt, keeping many other things in mind, like how many skus or pieces there will be in the collection? Is it a well rounded collection with a variety of interesting prints, lights, mediums and darks? 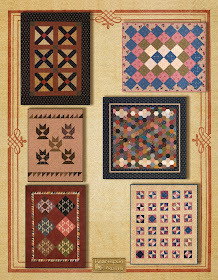 Even the name of the collection and the name of the quilt play into the design of the fabrics and quilt. Inspiration comes in many, many forms. Blocks, old fabrics, quilt designs, the name of the collection or quilt, and antique, even a place I've visited, or something obscure I've seen can all add to the creative process. I really enjoy talking with my designer friends about how differently creativity manifests itself because it really is so different for everyone. Many quilt designers don't ever begin working on the quilt design until they have all the fabrics for the collection complete, and I wouldn't want to work that way....but that's just me. I happen to work in reverse. Each person creates in their own special way. If you enjoy Pinterest and pin images of clothing, hair styles, home decorating, quilting, etc...you feed your creativity, too. Seeing a little something here and there often sparks an original idea of your own. Please share a blog comment about creativity, or about what other things you'd like me to write about in future Quilting Essentials blog posts for a chance to win a little Quilting Essentials Fat Eighth Pack! I also have two more Quilting Essentials Fat Eighth Packs to give away!! Look for my Quilting Essentials posts on Facebook and Instagram, and share with your friends for a chance to win, and tell them to visit my blog for some helpful piecing tips in the coming months. What a great idea! I love your work and truly enjoy the Newsletter! First time reader of your blog. Very informative. Thank you for sharing hints and info! Very interesting as to where your inspiration comes from. Great information, thank you! I'm looking forward to this series of posts. I took your class in Bloomington, Indiana a year ago or so and have implemented so many of the tricks you taught. I am a visual person so my creativity starts with seeing something I like and toying with it until it turns into something else. I will look forward to your tips and such. I follow you on Feedly, and I have used your fabric more than a few times. The Quilting Essentials book caught my eye first... I also have a copy on display in my sewing room. I will look forward to your hints and tricks. Could you give some tips on how to seam a straight seam when piecing? Mine always seem to go astray at the end and I get uneven seams. A number of years ago I read a good tip on this subject and it really worked! Problem is, I can't remember what it was. LOL! I had a similar issue and the machine saleswoman told me to quit using the quarter inch foot that I was using and figure out my 1/4 inch seam allowance with the foot that came on the machine. The quarter inch foot that I was using was simply too narrow of a foot and it wasn't pulling the material under the needle evenly. I changed to my A foot and my seams straightened out. Since then, I bought a new and wider 1/4 inch foot and it works just as well as my A foot. Not sure if this is your issue or not, but I thought I'd share my experience. Another issue may be the lack of stability as you get near the end of the seam. I've found that a stiletto is very useful when nearing the end of a seam or seeing small pieces. Creativity often strikes me at the weirdest times~ pulling weeds and I am thinkiing about quilts! LOL Do you use a software program to design your fabric? quilts? Color is my nemesis. How do you arrive at the great combinations in your quilts? Piecing and following patterns is my thing...creativity is not! I think because I've tried to put my own mark on a pattern in the past and the end result was disappointing. Now I have a fear of putting all that work into a quilt and having it be less than. I would love to connect with whatever creativity is hidden inside of me! Being creative is difficult for me, I can follow a pattern with the best of them but to create one myself, well lets say it is on my bucket list when I quit work. I am also not very good with colors, I know what I like and once I find something I then tend to buy fabrics from the same line for that project. 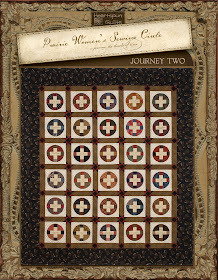 When I started making the PWSC quilts is when I started to go outside the box. I think its great that you are doing this, I look forward to reading and learning from you. I follow through Bloglovin, any and all tips and hints would be fantastic. I enjoy seeing things through another's eyes, many times hints are a great timesaver that I never would have thought of on my own. 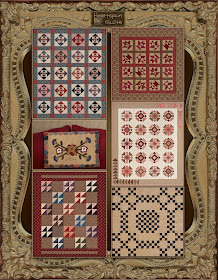 I love the traditional quilts made easier with today's methods. Sometimes, I follow the pattern but other times I change it. Making the blocks smaller, changing the setting or the borders are some of the ways that I make the quilt my own. combinations. Usually I do pretty good with choosing fabrics but once in a while I wonder what I was thinking!! 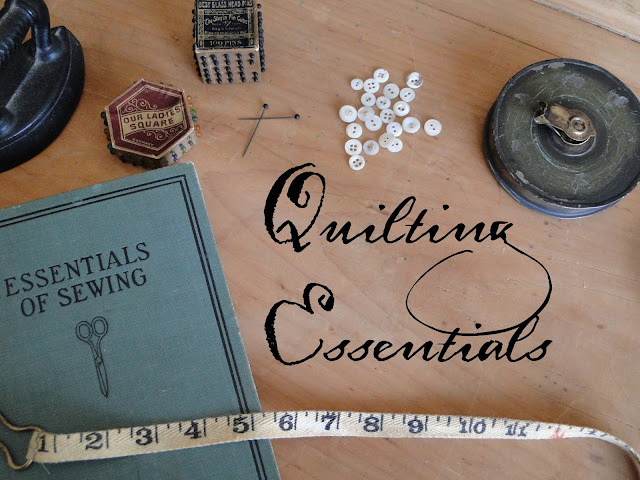 I'm sure I will love all your posts re: quilting essentials. Like this idea and look forward to seeing everyone's hints. My hint is heavily starch your fabric before cutting it. I enjoyed this insight into your creative process, Pam. I look forward to more in these posts each month! Thank you for creating Quilting Essentials and for taking the time to give tips. I love seeing bits of your collections--so fun! I'm looking forward to your posts. Your photos are so charming! 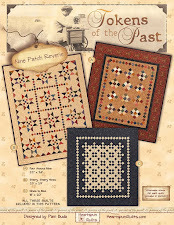 How about a post about drafting an antique block. I save photos of antique blocks (usually from ebay), but figuring out how to make a modern replica is sometimes challenging. 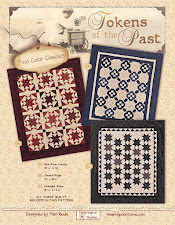 You could use an antique block (or photo) as an example. Pam ~ Thanks for sharing the process you go through. Lots of thinking goes into all you do, and it shows in the outcome. I love all you do!! 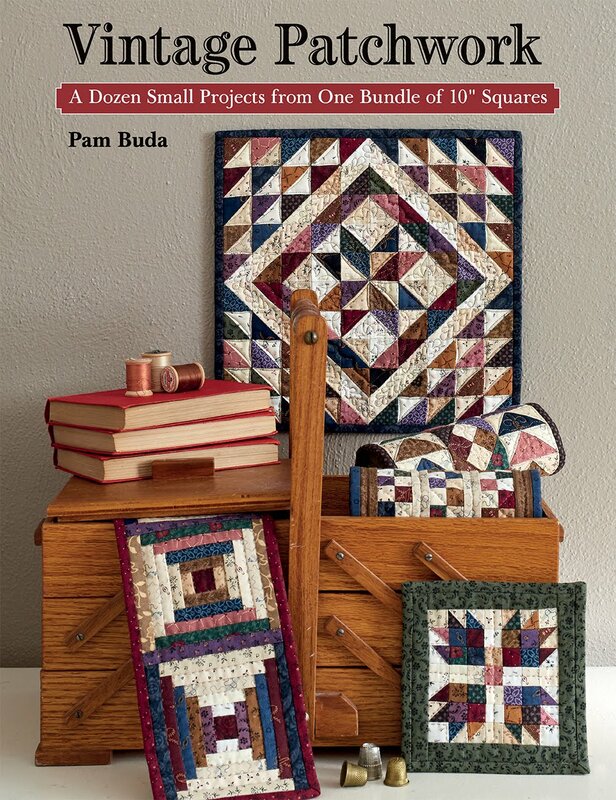 I enjoyed reading about your design process and I look forward to reading more in this series of Quilting Essentials. I find designing very difficult. When I was raised I was taught to dot every I and cross every T, so allowing myself to be creative is very challenging. But I have noticed since I started quilting that I am learning when and where I can modify designs on my own and I feel I am freeing up my imagination a little bit now, and sometimes looking at things from a more creative perspective, rather than a literal one. I do get a lot of inspiration from Pinterest because I see a lot of quilts there. 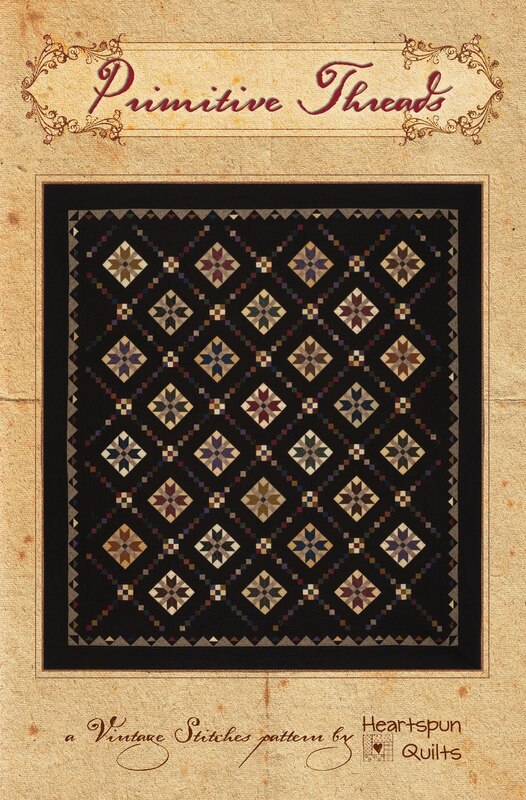 But anywhere I see a quilt or photo of a quilt, I can get a spark that helps me over a hump when considering block or border designs. 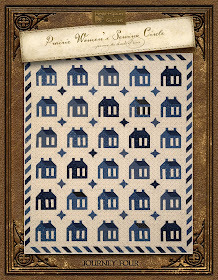 Even a partial block design can be converted to a pieced border. Love your fabrics and your quilts. Hope you are doing well. I get lost in so many quilts I want to make. How do you organize them all? My list is so long I can't keep it straight. I love digging through my stash and pulling out fabrics for a quilt. Buying kits is great because everything is there, but picking out what you like and designing it your way brings me a sense of accomplishment. It's amazing how quilters can look at any image and see a quilt! Thank you for sharing your expert knowledge with all of us. Love your idea for quilting essentials! It is very interesting to hear how you create. I don't have a creative bone in my body but can "make" a lot of things. That is why some of us rely on great designers like you to create for us. I'm sure any tips or ideas you share will be helpful. Thanks for your time, talent and effort! I look at nature for most of my creativity and color ideas. Just looking at all the color combinations in nature is as good or better than looking for colors combos in books or magazines. I look at flowers, birds, bugs etc, they're as close as my back yard! 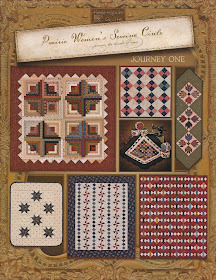 Love you are publishing 'quilting essentials', always something new to learn. I love scrap quilts and hang on to anything 1" or more. I have made many beauties from small pieces. Thanks for sharing ideas and tips. We can learn something every day! Pam, enjoyed your post on creativity!!!!! Meet you in Des Moines a few years back at the DM Quilters Guild meeting. The pictures don't do your quilts justice. I bought your pamphlet on your quilting tips. Love your starching technique. Look forward to more hints and tips. Pam, I found your description of your design approach fascinating. 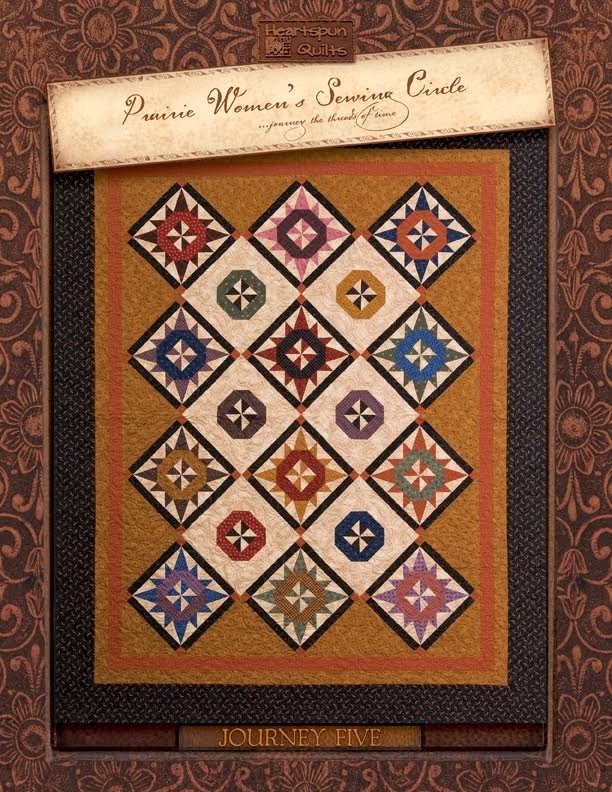 I love hearing how people approach their quilting or designing methods. It makes me think outside of my little box. I have been challenging myself lately to try things that I may never have done in the past. I am currently involved in a SAL where the quilt we are working on is a primitive, antique sort of quilt. I have some beautiful Hand dyed fabric that I was dying to use in some project. So I decided that using them in this quilt is really outside of the box for me. It is the closest I will come to ever using solid fabrics. I must say I am in love with this very different quilt. working outside of your comfort zone can be scary, but it sure can be a ton of fun too. I highly recommend it....at least every once in a while any way. Thank you for letting us in on your design process in developing your fabric line and quilt designs. I just assumed that the fabric line came first, but can see where it makes sense to tailor it to the quilt pattern or patterns you have designed. I have some creativity when it comes to quilts, but it is often a struggle for me, and I rely on my daughter for help when I get stuck. She has more innate artistic ability than I do. I try not to be so hard on myself, though, and am usually quite happy with how my quilts turn out. Many things effect my creative process from nature to emotions. Thanks for sharing your creative tips. They're inspiring. Seeing the colors like those in the fat eight packet you showed gets my juices flowing. I just want to run up to my sewing room and create. I love the rich, warm colors and find myself drawn to them. This past weekend I was at a quilt show and was so inspired, but work interferes. I love hearing how you design. It makes sense. I often see things like flooring and think that would make a great quilt design. 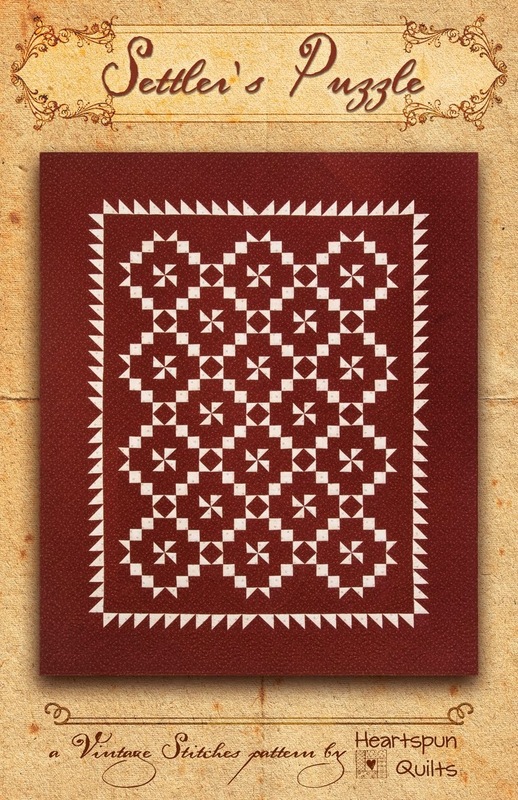 I was in Greece a couple years ago and found myself wanting to make a quilt like some of the ancient tile work. Thank you for the invitation and information. I would love to see more posts about how you pick fabrics for a quilt. Thanks for sharing your creative tips and hints.I love follow blogs and pinterest ,there are great projects I would love to make and right now I`m sewing a dress for me. Fabulous idea! I look forward to reading about your "tips". I've never done Instagram, but I will try to check out your Facebook posts. Thanks again for such a sweet pin cushion. It was so sweet to have such a special gift handed to me at Cyndi's on Saturday. I posted it on my blog with a link to yours. I will mention your "Connecting Threads" on my next post. Thanks a million! Very interesting. I am going to enjoy this series. I get lots of inspiration from my surroundings, too, and enjoy making blocks But my problem is actually deciding on the quilting. Everyone says let your quilt talk to you and you will know how to quilt it. But mine don't say anything. I have ten beautiful tops already made just waiting for me to quilt, but I haven't got a clue what to do.If you could write a post about tips on actually doing the quilting it would be most helpful Thanks for sharing your info. I have enjoyed your patterns and fabrics for years! Love this idea of "sewing essentials" as I want to break bad habits of making the same mistakes over and over! 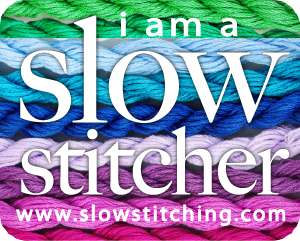 I have learned to "slow down" and feel it has improved my seaming. I sew on a Pfaff 1473 and it has the dual feed so that helps. Have 5 other machines, but always come back to old trusty! Thanks for the chance, and will share on FB! I love your fabrics and patterns and really liked reading about the creative process you go through when you design them. I'm still not too sure of my ability to put different fabrics together, so I usually play it safe and end up making quilts from one collection. I do love scrappy quilts though, and over time I'm getting to know what looks "right" to me. Looking forward to your more of your quilt tips! As someone else commented, I have problems deciding how to quilt my large quilts. 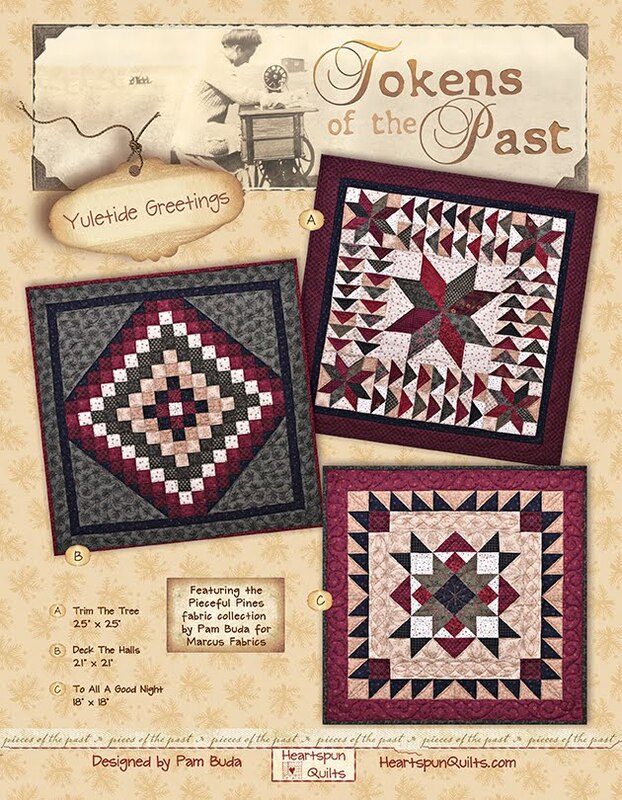 I have been doing this for many years and have many flimsies waiting to be quilted. I also have boxes of quilt blocks waiting to be put together, but haven't done so because the units get less wrinkled this way. I am eager to get these quilts finished but am stuck. Any help would be appreciated. Thanks. Starch is my friend! I saturate my fabrics, hang them to dry and then press and cut. Makes everything easier. Accuracy, finger pressing, all of it! I would love you to talk about color selection in quilts - what colors go with what. Thanks! Like many others. My quilts tell me what it needs especially when it comes time to quilt it. Since I can't hand quilt anymore, not so much. I miss it. I love finding color inspiration from nature. 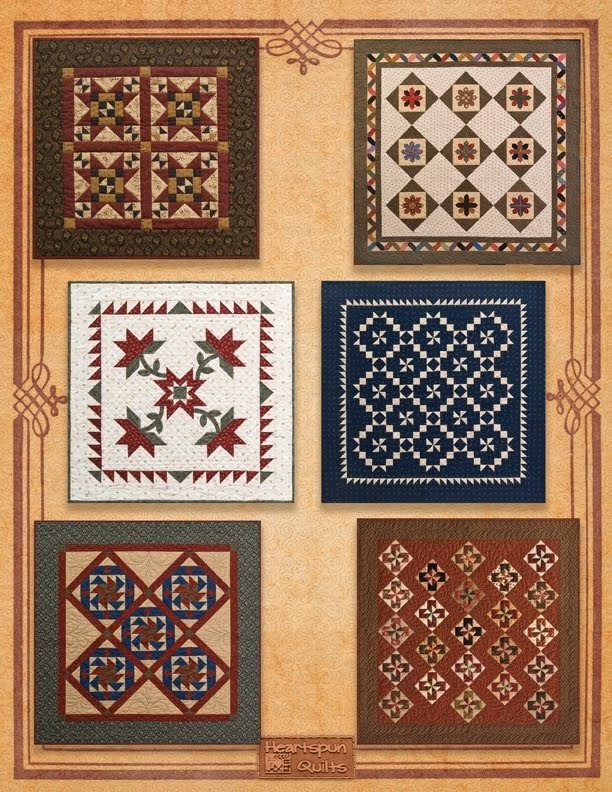 It's interesting that you design the quilts before the fabrics. However you do it, don't stop!! What a great idea for a series, speaking of inspiration. I'd like to know about your favorite cutting methods. I seem to have a love/hate relationship with my rotary cutter. I am so going to enjoy this series. I find I get my creativity from anything that I happen to be doing. Working in the garden, driving the back roads or something as simple as watching the clouds while daydreaming. Love your fabrics both the colors and the prints. Thank you for all the inspiration. Quilting Essentials ~ Comment Winners!